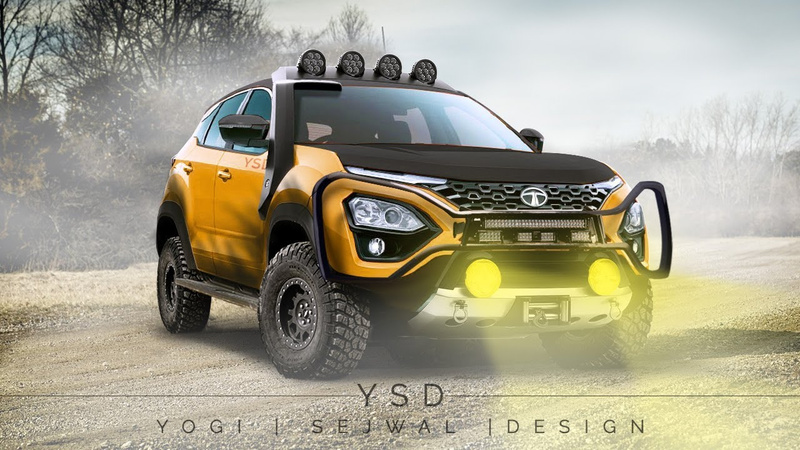 The post Meet Tata Harrier Off-Road Concept by YS Design appeared first on Maxabout News. Tata Harrier is a showstopper with its bold bonnet line and massive dimensions. 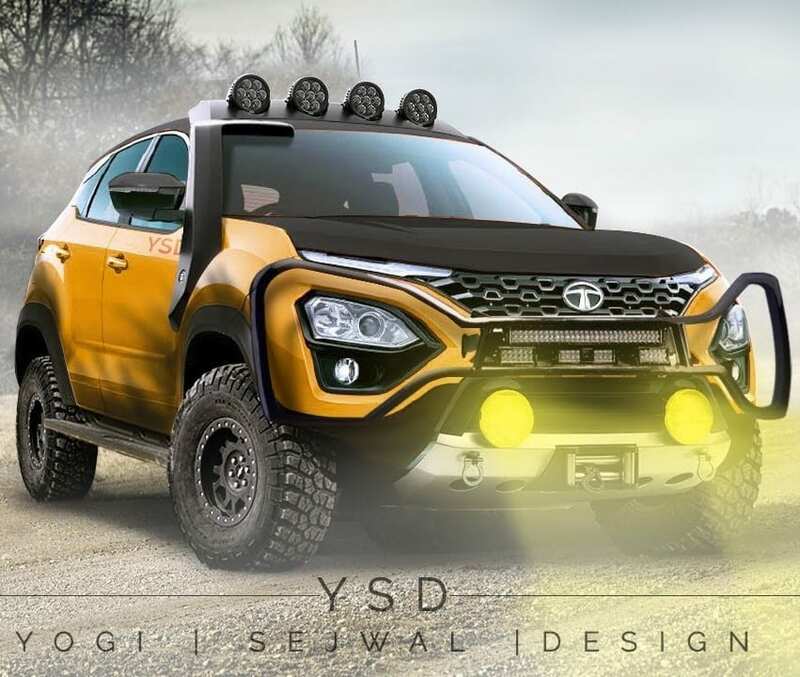 If the stock configuration was not enough to excite your senses, the digitally-modified Harrier off-road concept by Yogi Sejwal Designs will definitely ring a bell. The car seen here wears Yellow shade as the base and comes with added enhancements like black roof and bonnet finish. The wing mirrors and snorkel were also finished completely black for the raised off-road attitude on the rendered Tata Harrier. The stock tyres were removed to fix the car with these off-road tyres that technically raise the ride height on most cars. The front bumper now flaunts metal bash plate, additional fog lights, and a winch to help with easy towing. The bumper protector looks huge for a car of this size but practically, the design makes the car look more like a tough jungle vehicle with no fear of any obstacle in the way. The roof supports floodlights while wheel arches were made bolder than the stock car. The most powerful car of its kind, Tata Harrier is using a stock 2.0L diesel engine with 140 HP of maximum output. The engine comes mated to a 6-speed manual gearbox. The automatic gearbox is yet to arrive on the model. Tata Harrier was earlier expected to come with a 4×4 drivetrain. Tata is expected to launch the more capable model later, clearly taking time to judge the response of the buyers and see if the need arrives. The four-wheel drive option can arrive on the seven-seat variant of the Harrier, most probably coming through the Auto Expo 2020 platform for the public. The present-day Harrier measures 4598mm in length, 1894mm in width and 1706mm in height. The wheelbase is also class-leading at 2741mm. The car comes with 205mm of ground clearance and 425-litres of decent boot space.